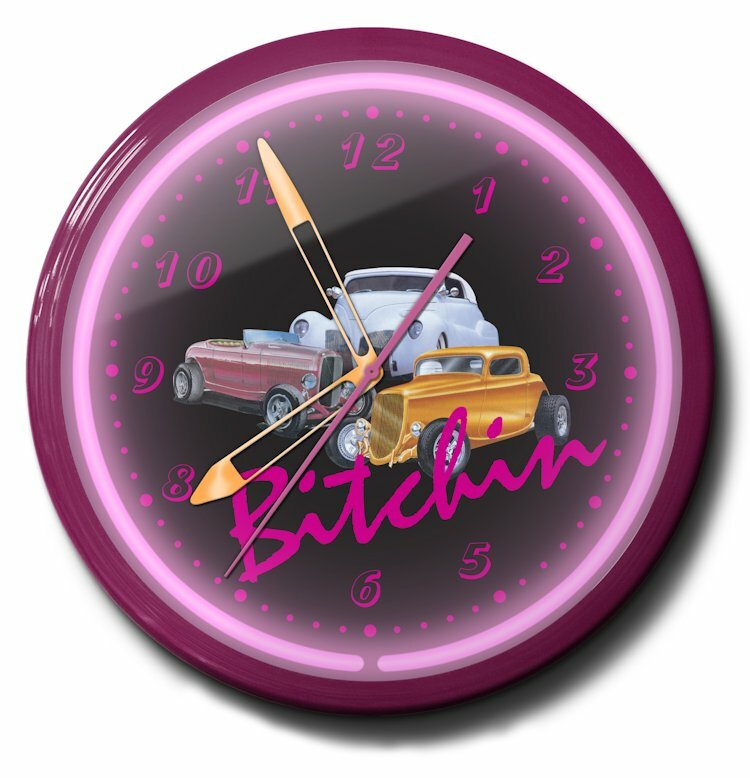 If you own or love a hot rod, you will love these Hot Rod Themed Neon Clocks. 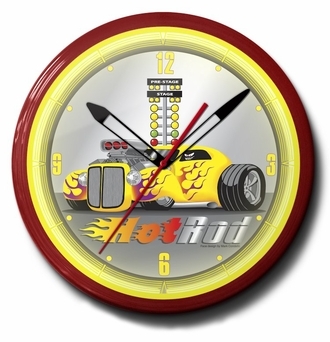 They are arguably the best purchase for classic fast car lovers everywhere! Whether its clocking linear speed records or just passing time, owners of Hot Rod Neon Clocks can add these cool hot rod car based clocks to their collection in the garage, house or work place. Image Time clocks regularly keep time reliably for 100,000 hours or more. 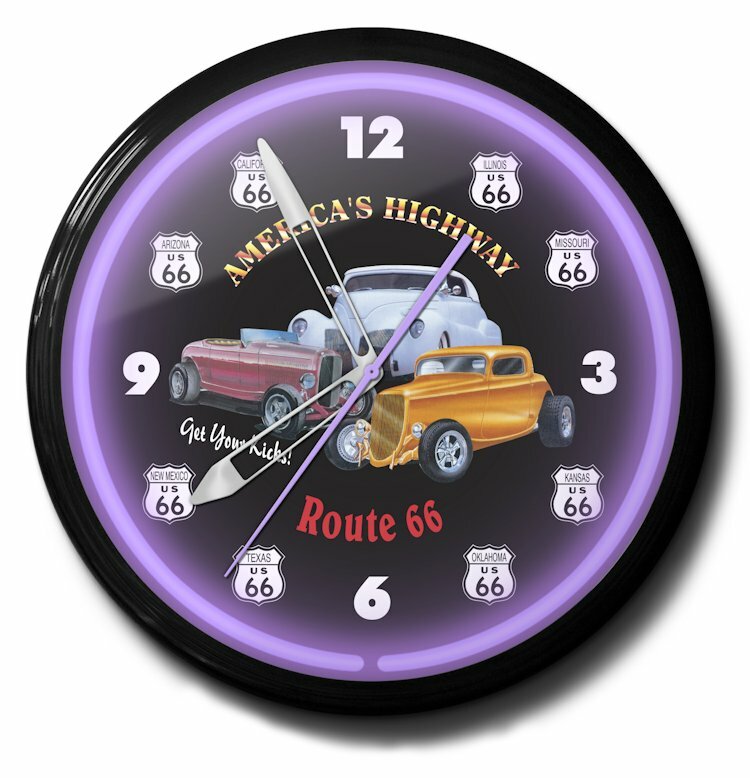 These quality clocks make a great present for yourself or your favorite car lover - for any occasion! 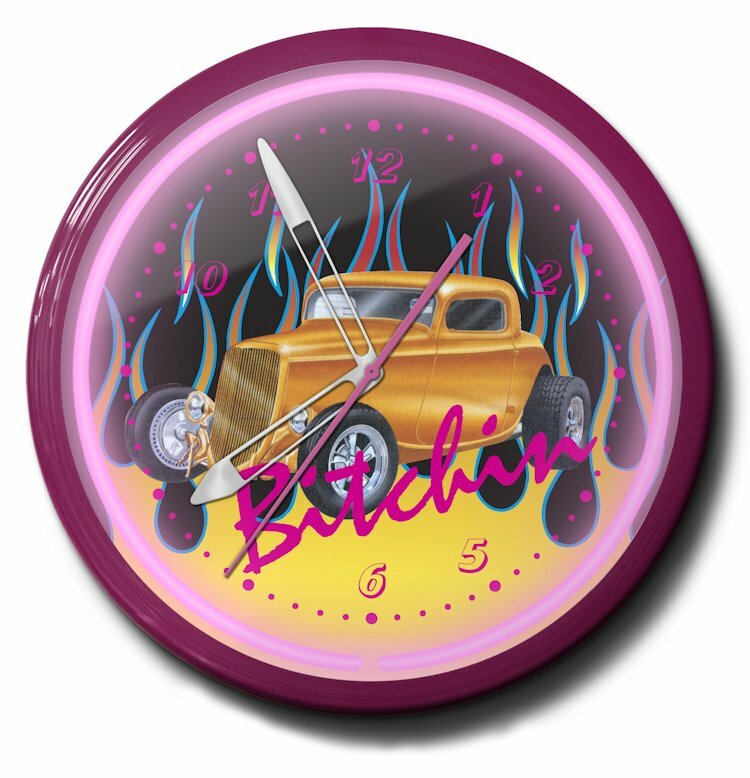 Subject: Neon Clocks with Hot Rod artwork work / made in America.